During February I ran my first VERY expensive giveaway!!! Ohhh I wish I had won it…but one lucky person has. 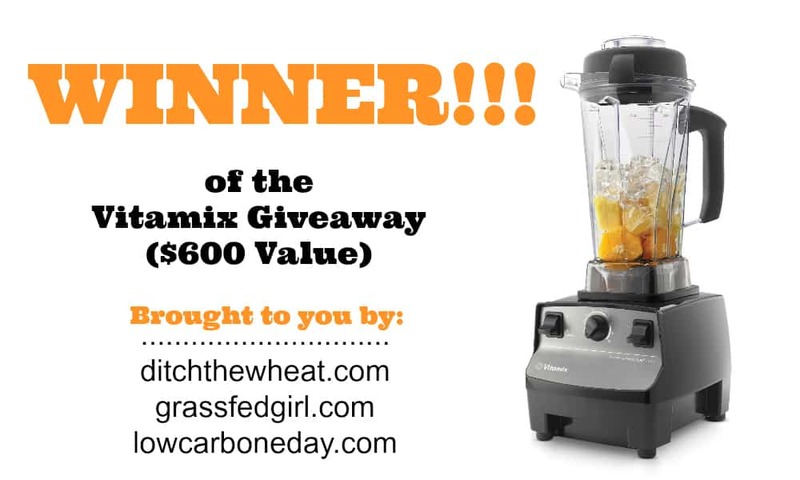 I gave away a Vitamix CIA Professional Series Blender — $600 Value! — to ONE winner. This is the Vitamin I gave away. 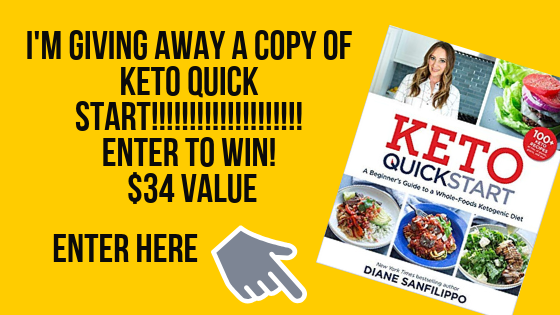 I paid for this giveaway myself along with two of my blogger friends: Karen from Living Low Carb One Day at a Time and Caitlin from Grass Fed Girl. I run these giveaways as my way to say thank you for being a fan of my site. I choose them, based on your votes on Facebook, and I will have the prize shipped directly to your door if you live in the United States. If you live outside of the United States you will receive an Amazon gift card of equivalent value to the cost of the item when purchased. The winner was chosen via random.org. The winner will have 48 hours to contact (lowcarboneday at gmail dot com) with his/her full name, address, and phone number. There is no purchase necessary to win. This giveaway is open to everyone. If the chosen winner is outside of the United States an Amazon Gift Card of equal value to the purchase price will be given to the winner.